Jostle Corporation and Bonusly have united to take peer-to-peer recognition to the next level. August 2, 2017 — Vancouver, Canada — Two brands at the forefront of HR technology have announced a new partnership that will drive employee engagement, unite distributed teams, and foster a collaborative, supportive work culture. Jostle’s People Engagement® platform is an intuitive intranet that delivers employee participation rates up to 5x industry norms. Jostle created a deep integration with Bonusly, the popular peer-to-peer recognition platform that companies like Hulu, InVision, ZipRecruiter, and SurveyMonkey are using to reward and motivate employees. This new integration gives customers the ability to add micro-bonuses to Jostle Shout-Outs, a feature that transparently recognizes and praises colleagues for work they've done well. Shout-Outs are an important aspect of the Jostle platform, making it easy for teams to quickly recognize individuals and take employee appreciation to an even higher level. 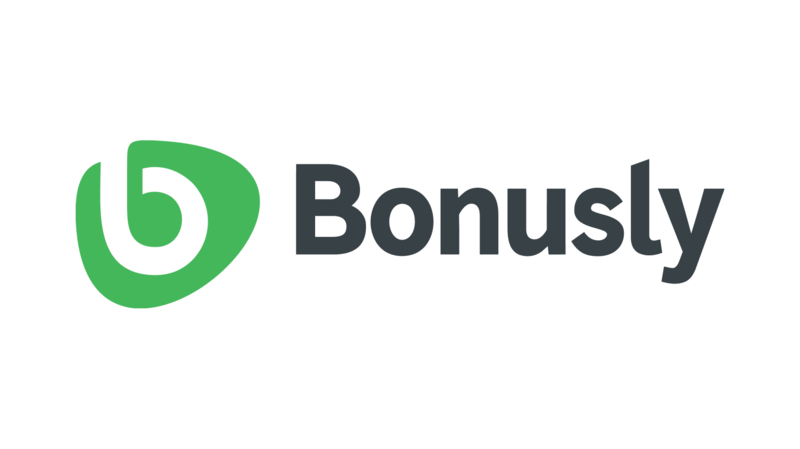 By integrating Bonusly into Shout-Outs, users now have the ability to thank colleagues and reward them with Bonusly points, which can be redeemed for real-life rewards such as cash, gifts cards to Amazon or Home Depot, or even charitable donations. The Bonusly connector is now available to all Jostle customers. To learn more, visit the Bonusly blog here or to schedule a demo with Jostle, visit https://www.jostle.me/get-started. 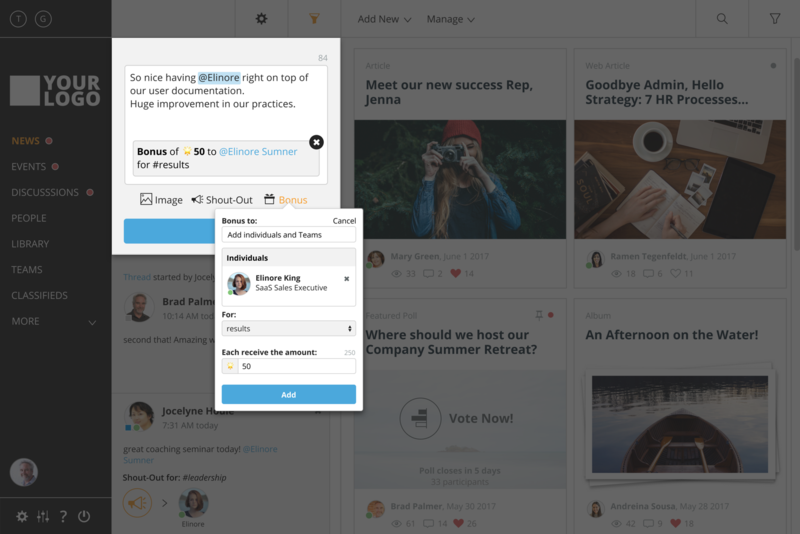 Jostle’s People Engagement platform is a turnkey, employee intranet that helps organizations connect employees, articulate workplace culture, and drive internal communication. 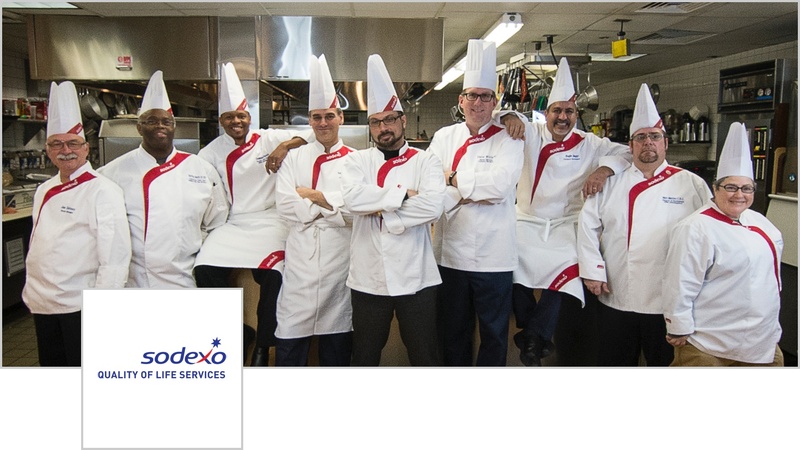 It achieves employee participation rates of over 85 percent (measured across all customers) and is helping companies around the world become extraordinary. Founded in 2012, Bonusly ignites employee recognition and engagement through a peer-to-peer platform teams love to use. 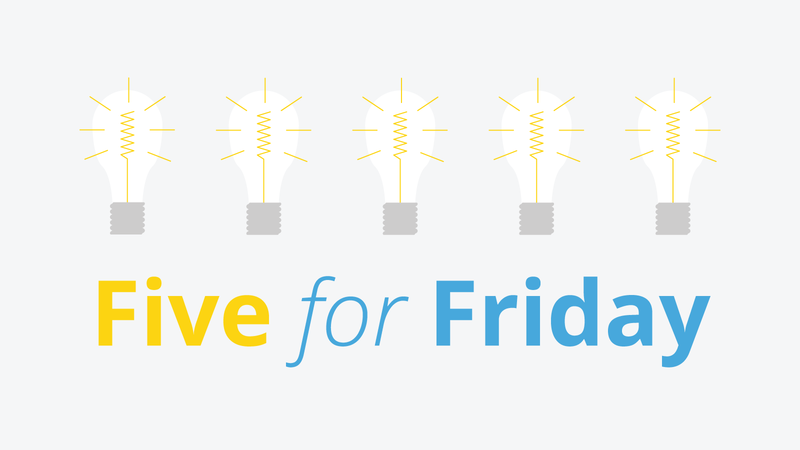 Bonusly helps over 1,000 organizations worldwide reduce employee turnover and increase productivity by fostering a recognition-rich culture that celebrates success every day. Clients also use Bonusly to gain unprecedented insights into the strengths, relationships, and accomplishments of each team member. Bonusly is headquartered in Boulder, CO and backed by FirstMark Capital, Bloomberg Beta and others. Visit us at https://bonus.ly/.